Last night was a quiet winter evening at NuWu Cannabis Marketplace, one of Las Vegas’ largest dispensaries. The store sees an average of about 3,000 shoppers a day, but only about 20 were walking the floor of the massive 15,800-foot retail space just after 5 p.m. Friday, as history was being made. 'We’re going to have a hell of a New Year’s party,' Brandon Hawkins said when he handed over $11,000 in cash. In a back room, Los Angeles restauranteur Brandon Hawkins stood with $11,000 cash, made of six rubber band-held stacks of $20 bills. Hawkins, 36, had flown in from LA earlier that day to make perhaps the largest legal purchase of a cannabis product to date in the United States: the Leira Cannagar. Resting in a wood-grain box lined with purple velvet, the massive smokeable boasted 24 grams of locally grown cannabis wrapped in hemp flower, then coated with edible 24-karat gold leaf. Hawkins, owner of The Hudson restaurant in West Hollywood, said he traveled to Las Vegas on behalf of a business partner, who wished to remain anonymous. The six-inch, flower packed masterpiece was loaded with Pure Haze flower, a sativa-dominant hybrid grown by Las Vegas-based cultivator Virtue. 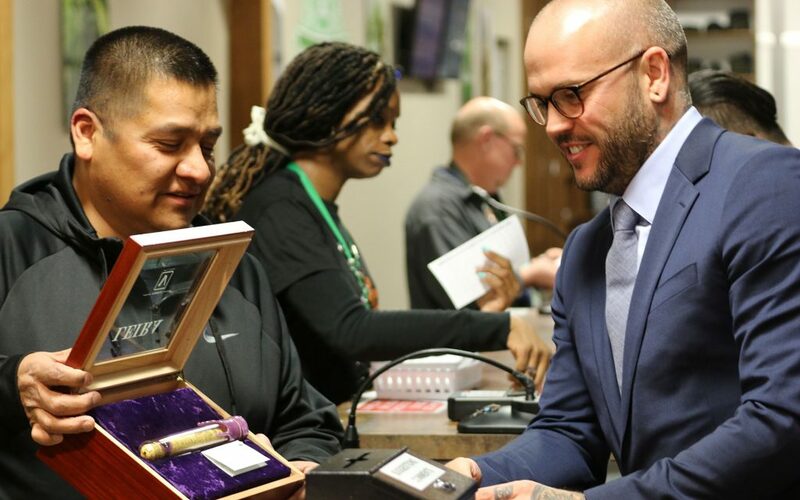 Ariel Payopay, owner of Washington State-based Leira, personally finished off the cigar’s hemp and gold leaf coating, and said it took more than two hours to wrap. Payopay said the gold turns to ash when smoked, and is safe for consumption. Friday’s cannagar sale price at NuWu topped the $10,000 cannagar—also produced by Leira—sold earlier this summer in Seattle. After seeing its work in Washington, Ranson Shepherd, co-founder of Virtue, partnered with Leira to produce its cannagars in Nevada. “We had a chance to jump on the project and get it going and it was a natural fit,” Shepherd said. Hawkins said his partner’s interest in the cannagar began months ago, and he worked carefully with Virtue, Leira and NuWu to time the sale for New Year’s Eve. 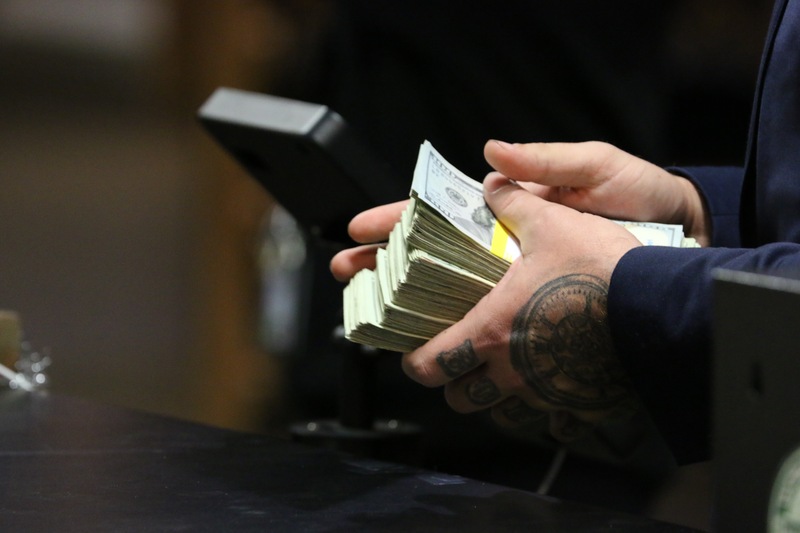 Instead, Hawkins walked out to the center of the dispensary shopping area and handed Nuwu budtender Joe Delarosa the cash stacks at one of Nuwu’s 13 points of sale. Delarosa turned around, grabbed the box with the cannagar, shook Hawkins’ hand, and the purchase was official. Meanwhile, business went on as usual. 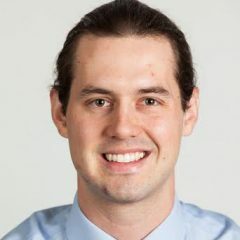 Hawkins thanked the staff and casually left the facility without delay. 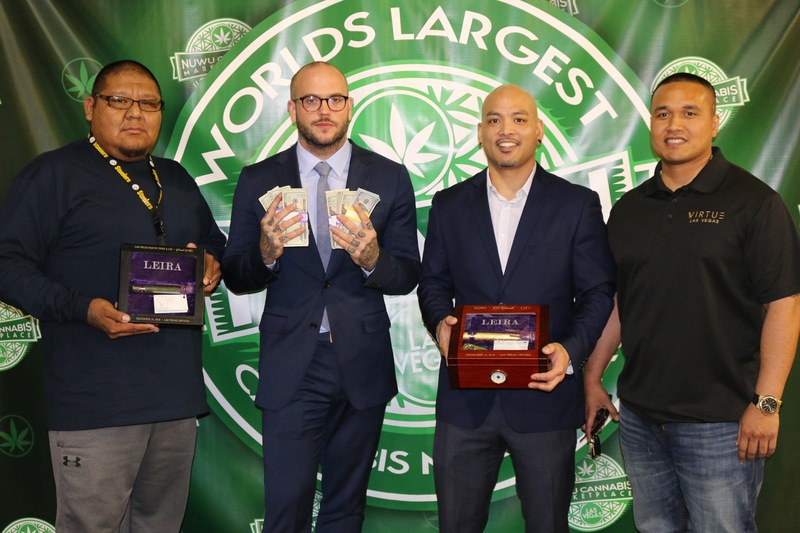 Benny Tso, tribal council and former chairman of the Las Vegas Paiutes, said Friday’s purchase served to “complement the store and complement the industry.” As marijuana consumption lounges move closer to opening in Las Vegas, Tso predicted that exotic cannagars like the product sold Friday will be a regular commodity for VIP clients at the lounges.